In life, everyone will experience struggles. It happens in different forms and people handle it differently. 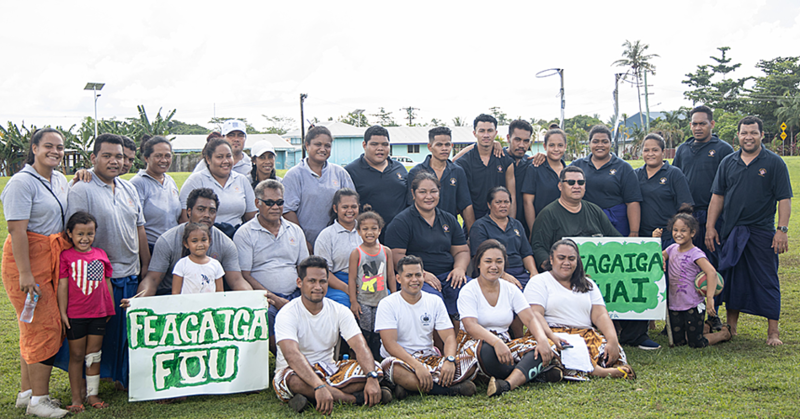 For Tootoo Hansel, from the village of Salelologa, Savai’i, she believes learning the lessons from these struggles can only make a person better. Tootoo, 40, sells flowers used for floral arrangements at the market to earn some money for the family. 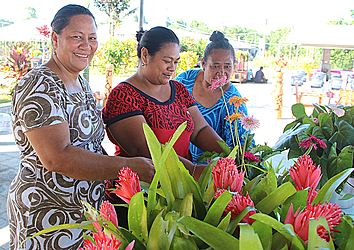 “I have been selling flowers for a while now here in Savaii,” she told the Village Voice. 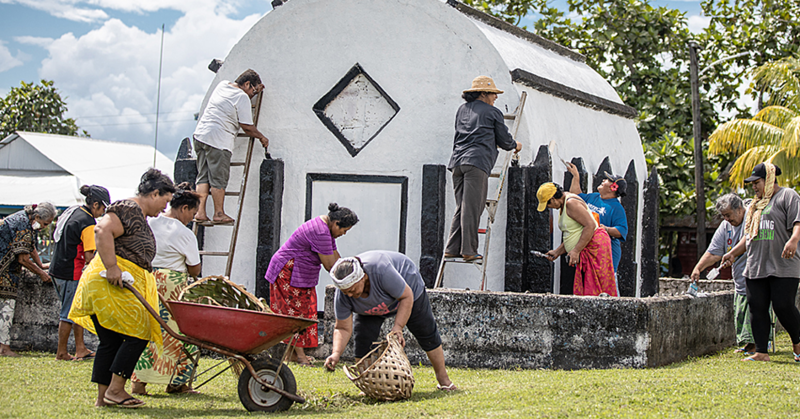 “As you may know, there is a very big difference between Savaii and Upolu. We don’t have many customers out here compared to Apia which is why we can’t really make as much. 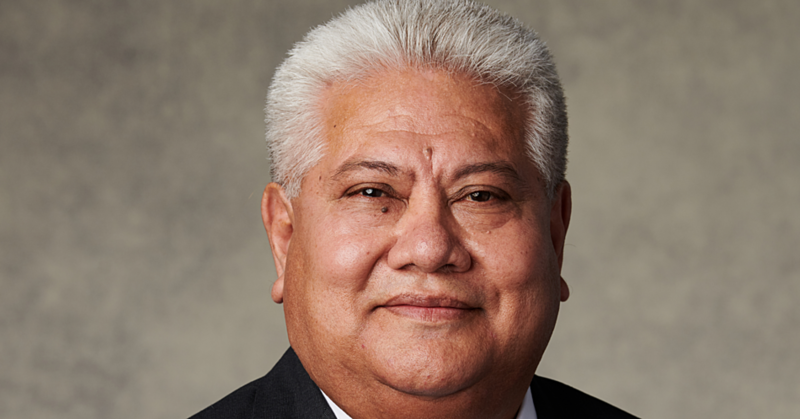 According to Tootoo, as a parent, it is always good to do the best you can for your family. “The family doesn’t only rely on flower sales; we have other things to earn a bit of cash,” she said. “The way I see things, whenever you try to take care of your family there will always be struggles that follow anything you do. “We must always give it our all for anything we do for our loved ones. We put in all our time and effort so that we can make sure we have enough for everything. Tootoo continued on to explain some of the struggles she goes through. “Like I mentioned before, every family has their own form of struggle,” she said. “For us there are times where we sell nothing and so we don’t earn any money to take care of all the family needs. But not all days are bad for Tootoo. “On the bright side, there are times when there are many customers who buy from me,” she said. “But that isn’t every day. Every day is different. No matter what the circumstances, I still try my best to make as much as possible for everything that’s needed. “I also see hardships as a personal boost. If we didn’t struggle then there wouldn’t be a way forward because we learn from everything. Tootoo even has a backup plan at home to help move on against the struggles she faces. “I have a small stall in front of my house which helps the family as well,” she said. “We earn a bit from people who drive past and stop to make a quick purchase. So when I’m not here in the market then I can still make a bit of money throughout the day. “That’s one of things that make life a little easier. Even though people don’t stop by every time, it’s still a decent thing to earn money throughout the day.